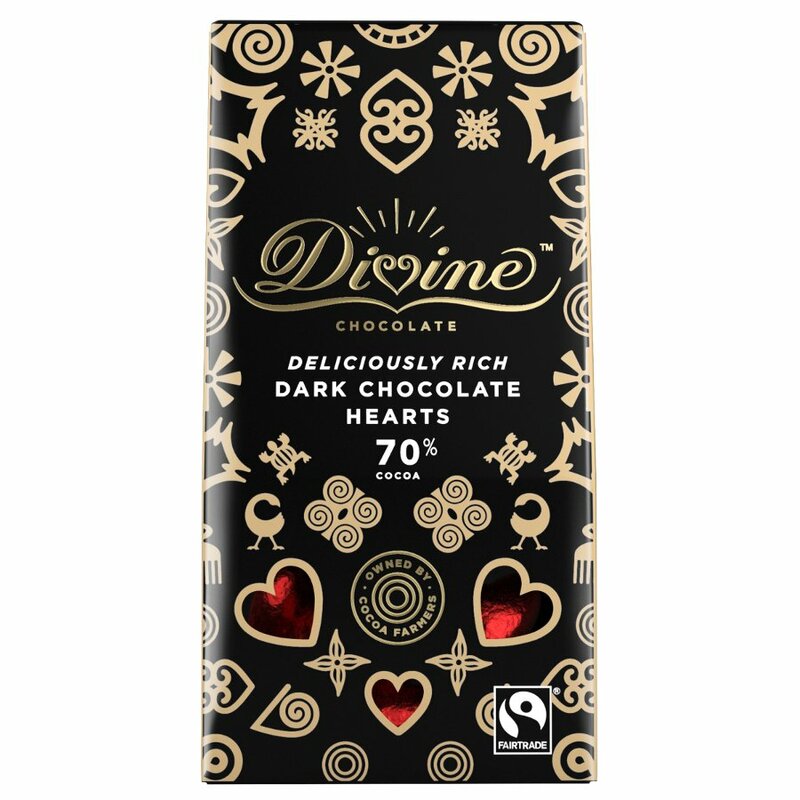 Made from the same delightfully rich and tasty Fairtrade labelled chocolate as you will find in Divine’s dark chocolate bars, these 70% dark vegan chocolate hearts are hand wrapped in red foil and beautifully presented to make the perfect gift, guaranteed to go down a treat. 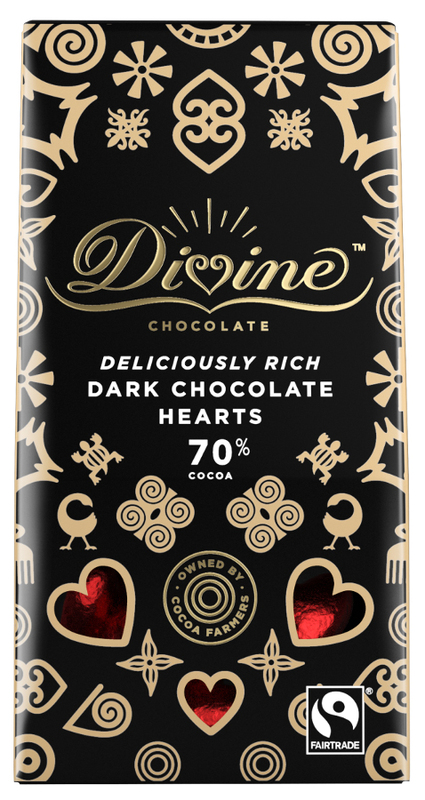 Made from cocoa grown by Kuapa Kokoo in Ghana, Divine really does make heavenly chocolate with a heart. Free from dairy, gluten, wheat, palm oil, soya and artificial ingredients. Suitable for vegans. Made in the EU using Fairtrade cocoa from Ghana. Packaging is recyclable. Fairtrade Cocoa Mass, Fairtrade Sugar, Fairtrade Cocoa Butter, Emulsifier: Soya Lecithin (non GM), Fairtrade Vanilla. May contain milk, gluten and nuts. The Divine 70% Dark Chocolate Hearts - 80g product ethics are indicated below. To learn more about these product ethics and to see related products, follow the links below. Q: Hi! I'm thinking about giving these choc hearts as favours at my wedding. Please can you tell me how many hearts are in each box? Also, does the red foil wrapper say "Divine" or "Fairtrade" on it anywhere? Many thanks! A: Hi, there are approximately 26 hearts per box. The red foil wrappers don't have any writing or symbols on them, they are plain, sparkling red. Robyn. 13 out of 13 found this question and answer helpful.